Zhang, X., Gray, D., and Slade, W. (16-Jan-18). Click here to view this presentation with audio. A key challenge in applying ocean color remote sensing for assessing biogeochemical stocks in the ocean is to link the signal seen by satellite or airborne sensors with the optically active water constituents and their biogeochemical origin. The linkage between ocean color and biogeochemical stocks is established via the inherent optical properties of water, most importantly the volume scattering function (Î2, m-1 sr-1) and the total absorption coefficient (a, m-1). While our ability to understand and separate the various components of absorption has improved over the last decades, the major challenge remains in the understanding of the sources of variability in the volume scattering function, and particularly the backscattering that are directly relevant to ocean color observation. This has hindered our ability to derive IOPs accurately and to interpret their variability biogeochemically. 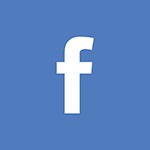 Of IOPs, the VSF is most difficult to measure with only few data available. The scarcity of data has led to unrealistic assumptions, such as that the phase function of particles can be represented by the average of Petzold's data. This in turn has led to uncertainties in understanding the roles played by particles of different type in generating remote sensing reflectance and the color of the ocean. Recent technological and theoretical advances have allowed us 1) to measure the full angular scattering over a diverse aquatic environments and 2) to interpret the measurements in terms of particle size distribution and composition. 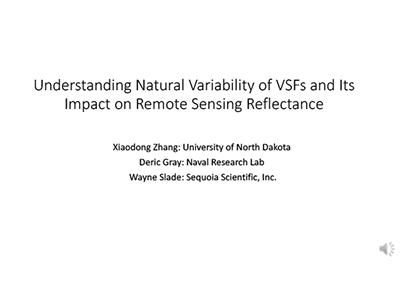 We have greatly improved our understanding of natural variability of the VSF and the biogeochemical origin of the variability. However, these improved knowledge has yet to applied to ocean color. 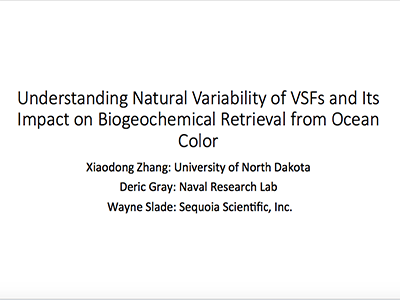 The objective of this study is to understand the natural variability of the VSF and its impact on biogeochemical interpretation of ocean color. The answers to this question will help to constrain two major uncertainties affecting both the current and future PACE ocean color missions: bidirectional effect and sources of backscattering. Our approach is centered on in-depth analysis of the field measurements of complete sets of IOPs (including full range VSFs) and biogeochemical stocks covering various aquatic environments through both forward and inverse modeling. The information of biogeochemical stocks is also contained in the detailed angular pattern of the VSF and can be retrieved by VSF-inversion. Applying forward modeling to simulate spectral backscattering from the inversion results will tell what biogeochemical information about particles (such as the size or the type) is retained in, and hence can be possibly retrieved from, the backscattering coefficient derived from ocean color. Comparisons of the modeled and measured biogeochemical stocks and comparisons of the modeled and measured spectral backscattering will aid in the interpretation of the modeling results and will also provide a basis for validating, and possibly refining, the overall modeling approach. The proposed study addresses a fundamental, yet poorly known, linkage between the optical scattering and biogeochemical properties of natural waters. 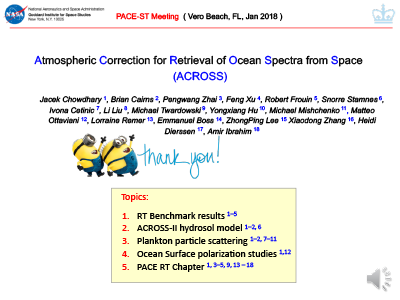 The potential outcome of the study can not only advance our understanding of the VSF as an key IOP parameter but also improve the performance of existing ocean color algorithms by further constraining the uncertainty associated with angular scattering as well as to guide the development of new approaches for ocean color algorithms. Zhang, X. and Gray, D. (2015). Backscattering by Dissolved Particles in Coastal Waters, J. Geophys. Res. Oceans, 120(10), 6914-6926, doi: 10.1002/2015JC010936. Zhang, X., Huot, Y., Bricaud, A., and Sosik, H.M. (2015). Inversion of Spectral Absorption Coefficients to Infer Phytoplankton Size Classes, Chlorophyll Concentration, and Detrital Matter, Appl. Opt., 54(18), 5805-5816, doi: 10.1364/AO.54.005805. Christensen, M., Zhang, J., Reid, J.S., Zhang, X., Hyer, E.J., and Smirnov, A. (2015). A Theoretical Study of the Effect of Oceanic Bubbles on the Enhanced Aerosol Optical Depth Band over High Latitude Southern Oceans as Detected From MODIS and MISR, Atmos. Meas. Tech., 8, 2149-2160, doi: 10.5194/amt-8-2149-2015. Zhang, X., Boss, E., and Gray, D.J. (2014). Significance of Scattering by Oceanic Particles at Angles Around 120 Degree, Opt. Express, 22(25), 31329-31336, doi: 10.1364/OE.22.031329. Zhang, X., Stavn, R., Falster, A., Gray, D., and Gould, R. (2014). New Insight into Particulate Mineral and Organic Matter in Coastal Ocean Waters through Optical Inversion, Estuar. Coast., 149, 1-12, doi: 10.1016/j.ecss.2014.06.003. Zhang, X., Huot, Y., Gray, D.J., Weidemann, A., and Rhea, W.J. (2013). Biogeochemical Origins of Particles Obtained from the Inversion of the Volume Scattering Function and Spectral Absorption in Coastal Waters, Biogeosciences, 10, 6029-6043, doi: 10.5194/bg-10-6029-2013. Zhang, X. (2012). Molecular Light Scattering by Pure Sea Water, In Light Scattering Reviews 7 (A. Kokhanovsky, ed. ), 225-243, doi: 10.1007/978-3-642-21907-8_7. Zhang, X., Gray, D., Huot, Y., You, Y., and Bi, L. (2012). Comparison of Optically Derived Particle Size Distributions: Scattering Over the Full Angular Range Versus Diffraction at Near Forward Angles, Appl. Opt., 51(21), 5085-5099, doi: 10.1364/AO.51.005085. 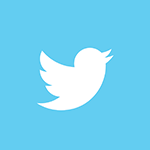 Twardowski, M., Zhang, X., Vagle, S., Sullivan, J., Freeman, S., Czerski, H., You, Y., Bi, L., and Kattawar, G. (2012). The Optical Volume Scattering Function in a Surf Zone Inverted to Derive Sediment and Bubble Particle Subpopulations, J. Geophys. Res., 117(C7), C00H17, doi: 10.1029/2011JC007347. Czerski, H., Twardowski, M., Zhang, X., and Vagle, S. (2011). Resolving Size Distributions of Bubbles with Radii Less than 30 um with Optical and Acoustical Methods, J. Geophys. Res., 116(C7), C00H11, doi: 10.1029/2011JC007177. Zhang, X., Twardowski, M., and Lewis, M. (2011). Retrieving Composition and Sizes of Oceanic Particle Subpopulations from the Volume Scattering Function, Appl. Opt., 50(9), 1240-1259, doi: 10.1364/AO.50.001240. Zhang, X., Hu, L., Twardowski, M.S., and Sullivan, J.M. (2009). Scattering by Solutions of Major Sea Salts, Opt. Express, 17(22), 19580-19585, doi: 10.1364/OE.17.019580. Zhang, X. and Hu, L. (2009). Scattering by Pure Seawater at High Salinity, Opt. Express, 17(15), 12685-12691, doi: 10.1364/OE.17.012685. 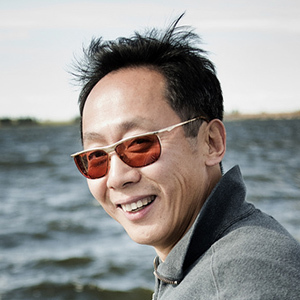 Zhang, X., Hu, L., and He, M.-X. (2009). Scattering by Pure Seawater: Effect of Salinity, Opt. Express, 17(7), 5698-5710, doi: 10.1364/OE.17.005698. Zhang, X. and Hu, L. (2009). Estimating Scattering of Pure Water from Density Fluctuation of the Refractive Index, Opt. Express, 17(3), 1671-1678, doi: 10.1364/OE.17.001671. Zhang, X., Lewis, M., Bissett, W.P., Johnson, B., and Kohler, D. (2004). Optical Influence of Ship Wakes, Appl. Opt., 43(15), 3122-3132, doi: 10.1364/AO.43.003122. Zhang, X., Lewis, M., Lee, M., Johnson, B., and Korotaev, G. (2002). The Volume Scattering Function of Natural Bubble Populations, Limnol. Oceanogr., 47(5), 1273-1282, doi: 10.4319/lo.2002.47.5.1273. Zhang, X., Lewis, M., and Johnson, B. (1998). Influence of Bubbles on Scattering of Light in the Ocean, Appl. Opt., 37(27), 6525-6536, doi: 10.1364/AO.37.006525. Zhang, X., Okada, Y., Kimura, N., Fukushima, H., Senga, Y., Sugimori, Y., and He, M. (1995). Comparison of Pigment Concentration Between CZCS-estimation and Ship-observation in the Waters Around Japan: Test of an Improved Atmospheric Correction Method, Journal of Advanced Marine Science and Technology Society, 1(2), 14-25. He, M., Zhao, C., and Zhang, X. (1994). Ocean Wave Directional Spectra by Optical Methods, In Oceanology of China Seas (Zhou Di et al., eds. ), 2, 557-564, doi: 10.1007/978-94-011-0886-7_21.